This year, South Africa celebrates a hundred years of the life and legacy of Rolihlahla Mandela, famously known as Nelson Mandela. 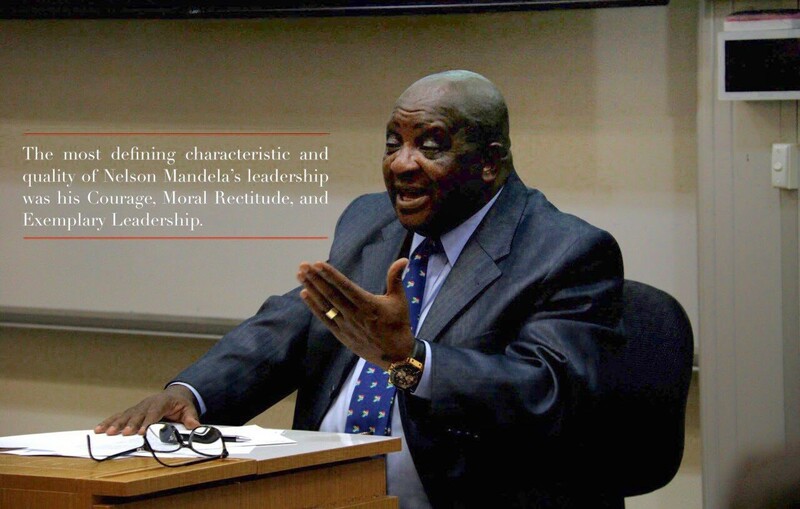 The 1993 Nobel Peace Prize winner is commemorated by South Africa as the epitome of exemplary leadership. His struggles as an anti-Apartheid movement leader and his immense contributions to promoting peace and democracy around the world have inspired countless people. Nelson Mandela stands in the league of leaders like Lee Kuan Yew – they led their countries to independence. Nelson Mandela’s years of resistance to put an end to the Apartheid system of government led to him becoming the symbol of the fight against racism. During his 27-year imprisonment, he did hard labour and was the target of discrimination and prejudice. Yet, after being granted freedom, Mandela embraced all South Africans regardless of race or creed. This was exemplified during the 1995 Rugby World Cup when Mandela donned the Springbok rugby jersey to congratulate the mainly white team's victory. This gesture symbolized the coming together of two nations that had once been separated by bitter racial policies, prejudices and practices, but now united under a common vision. The most defining characteristics of Nelson Mandela were his courage, moral rectitude and exemplary leadership. Mandela humbly put the interests of others before his. He was a leader for all – one who showed as much concern for the liberation of the oppressor as for the oppressed. Mandela famously said, “A man who takes away another man’s freedom is a prisoner of hatred, he is locked behind the bars of prejudice and narrow-mindedness”. May we continue to celebrate the legacy of Nelson Mandela and his exemplary leadership for many years to come.